These earrings will feel light as a feather, and they look like one, too! 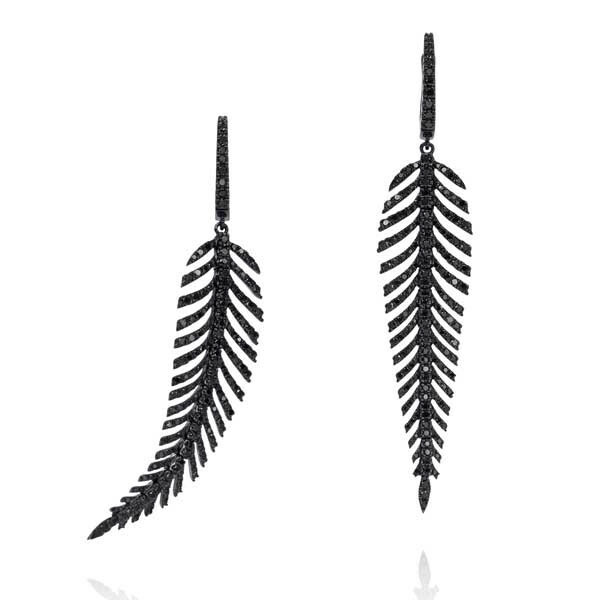 Crafted in 18kt gold, black diamonds gather to form a feather motif. The earrings are 2-3/4" in length. The earrings are a moveable feast for your eyes. Who'll be the lucky bird to own and wear them?